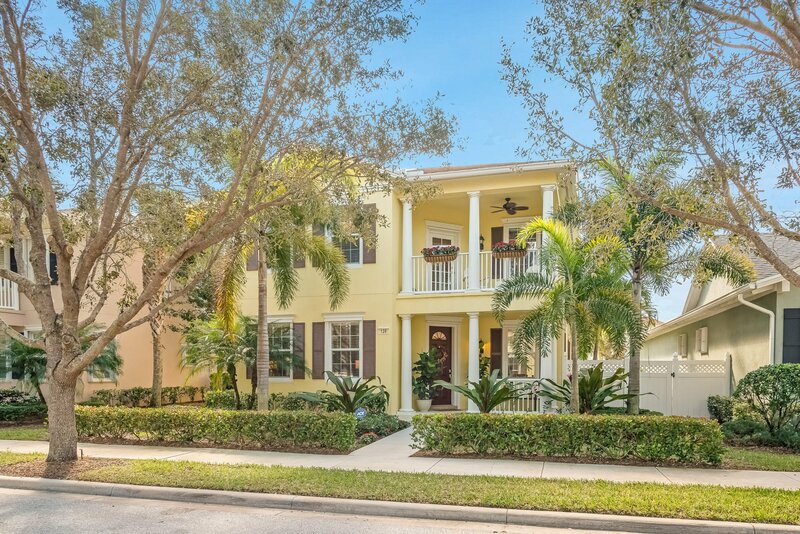 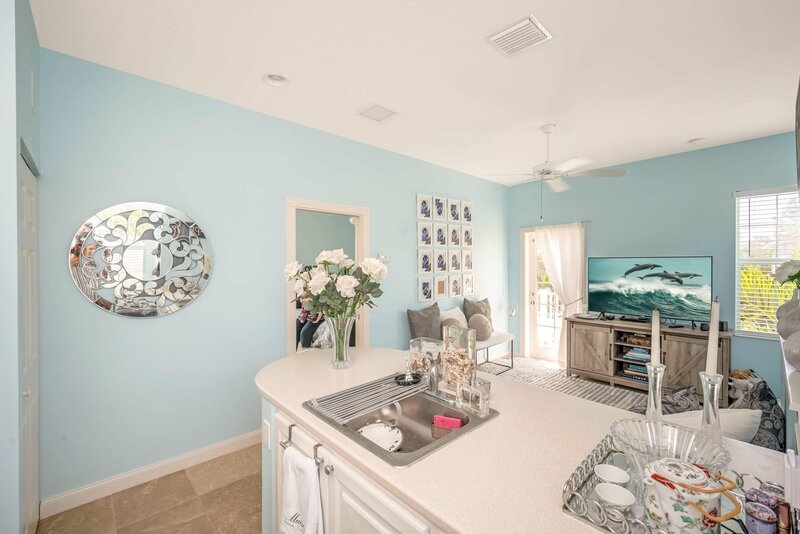 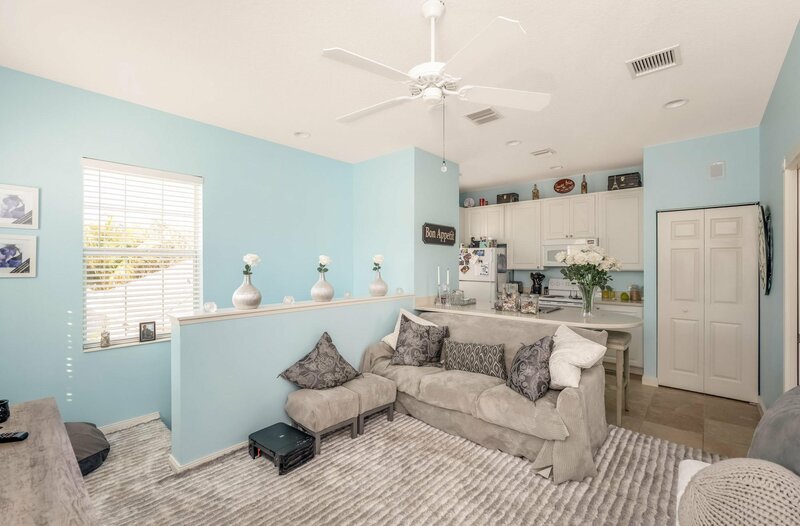 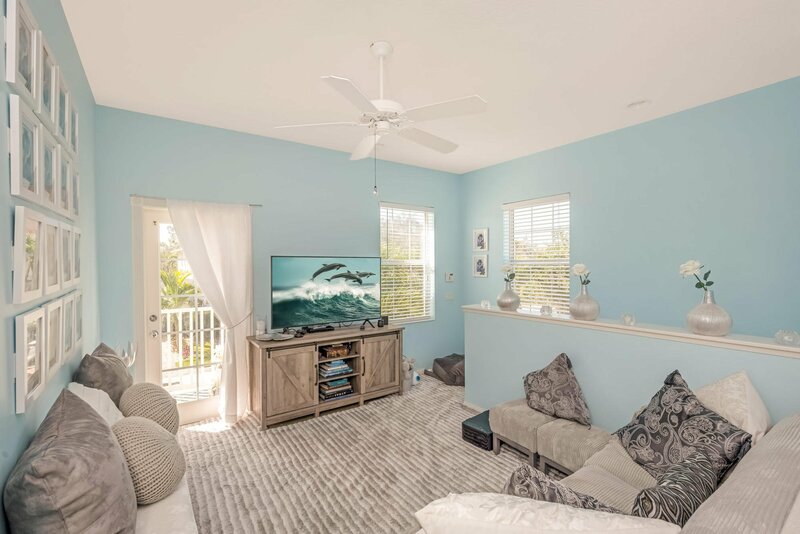 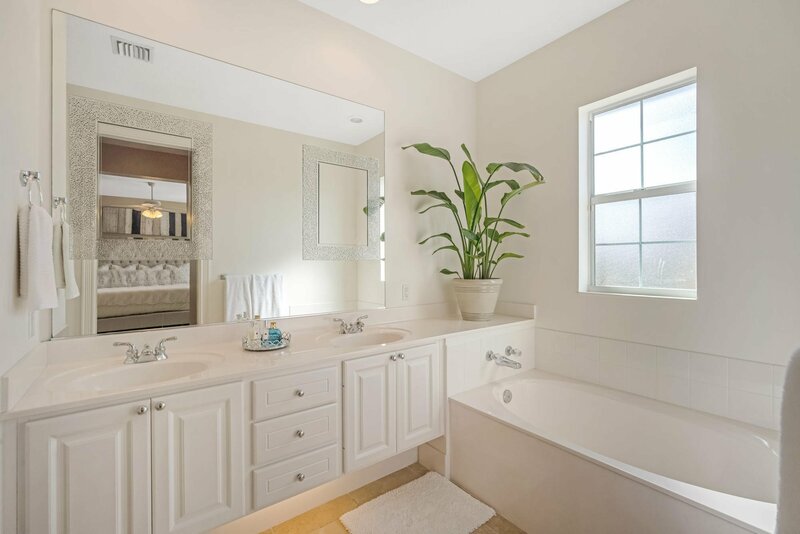 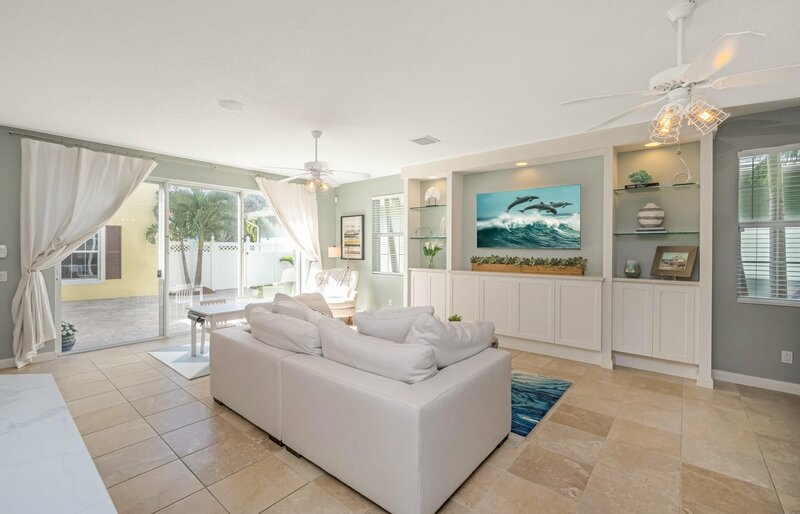 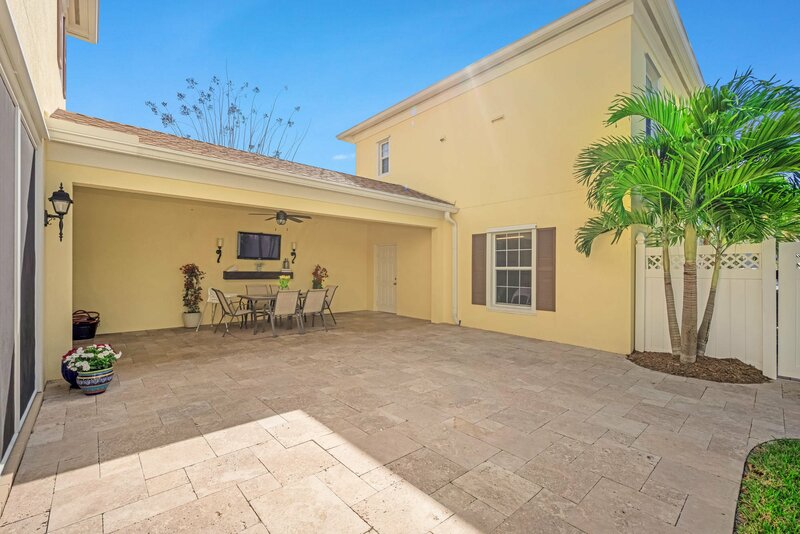 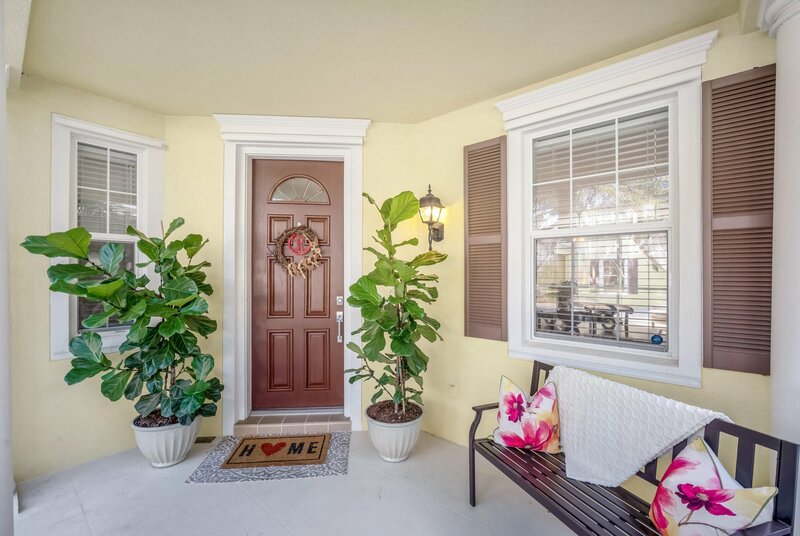 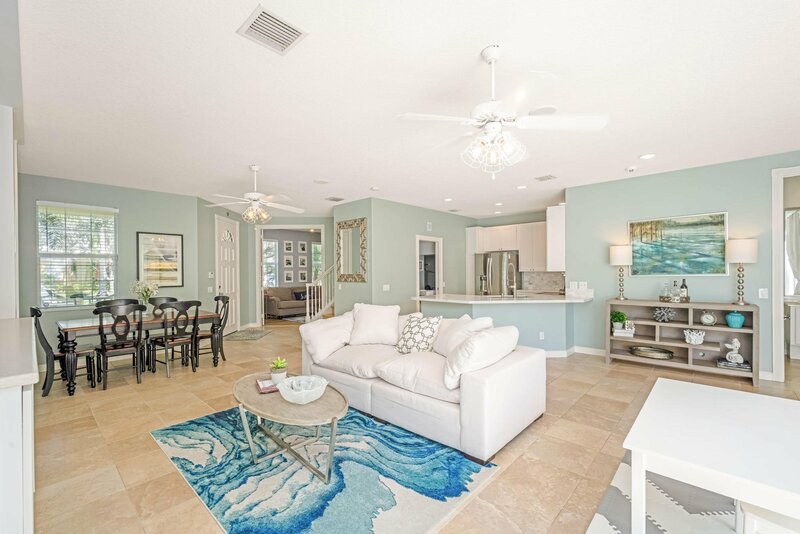 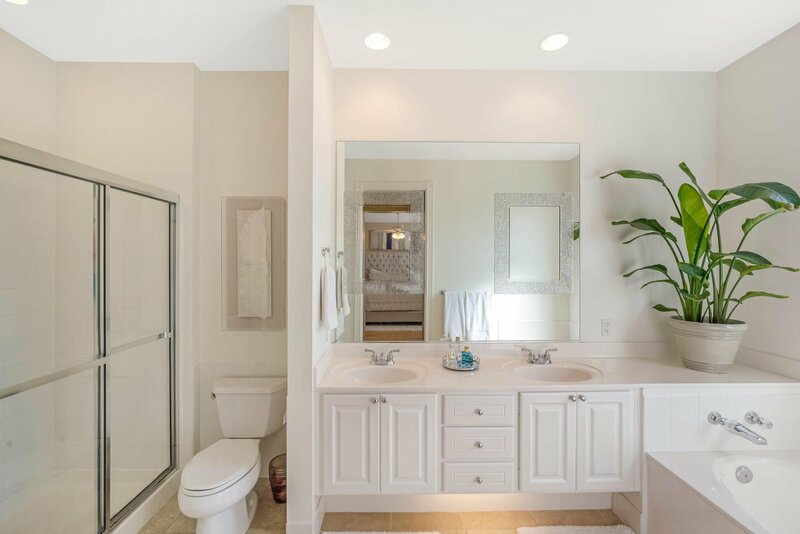 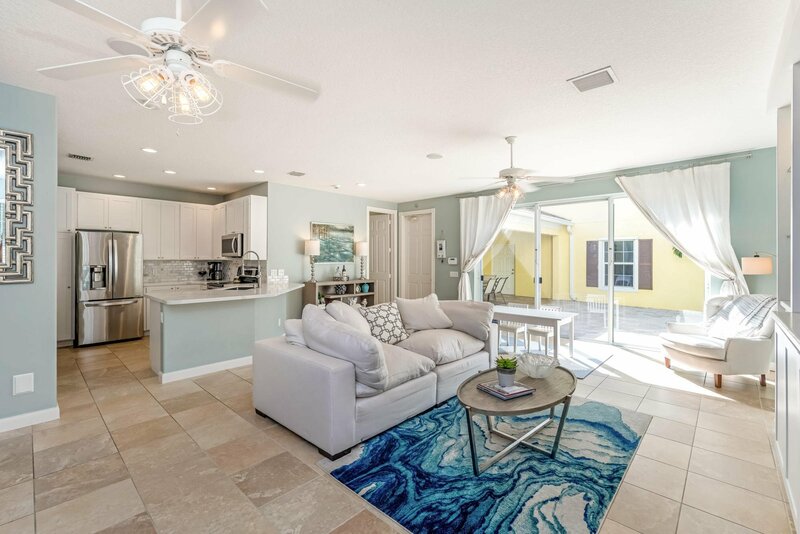 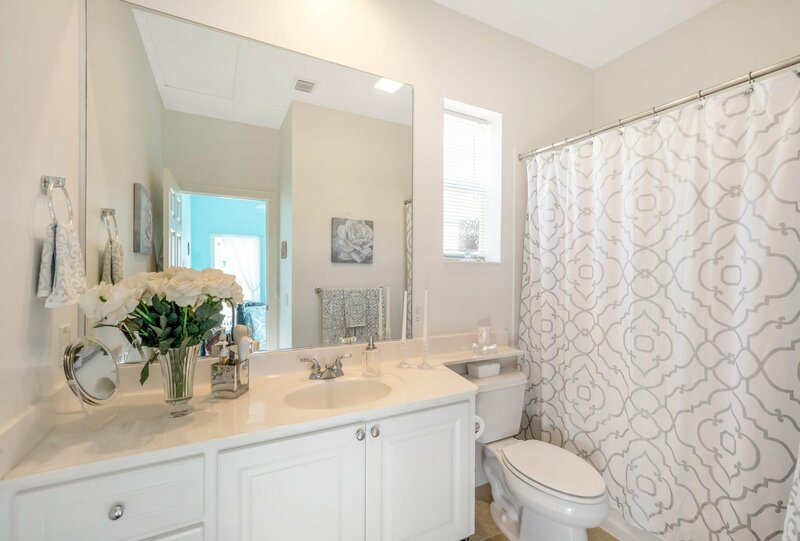 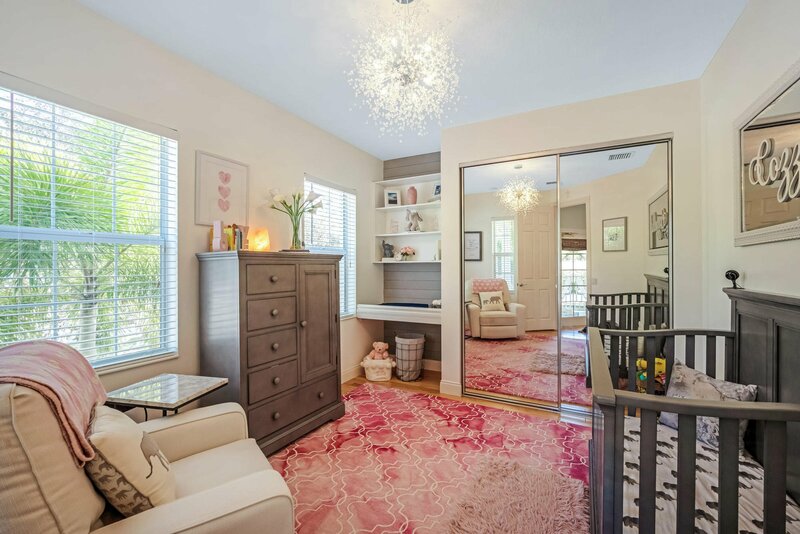 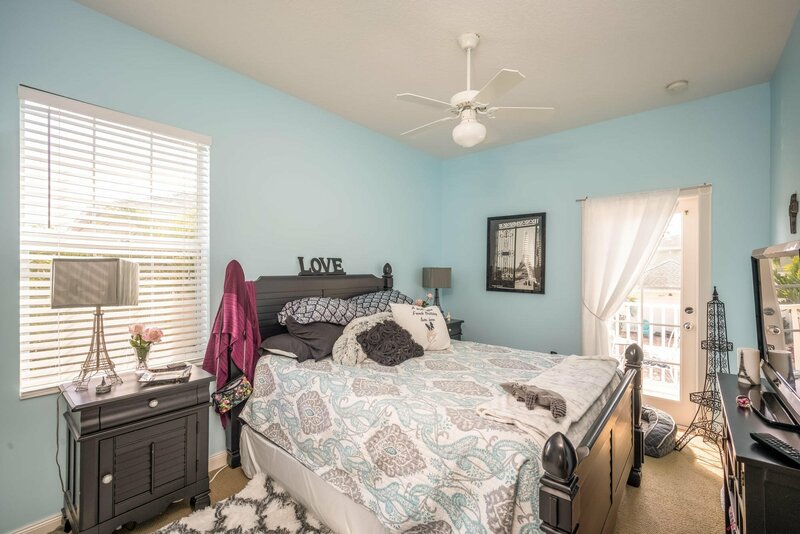 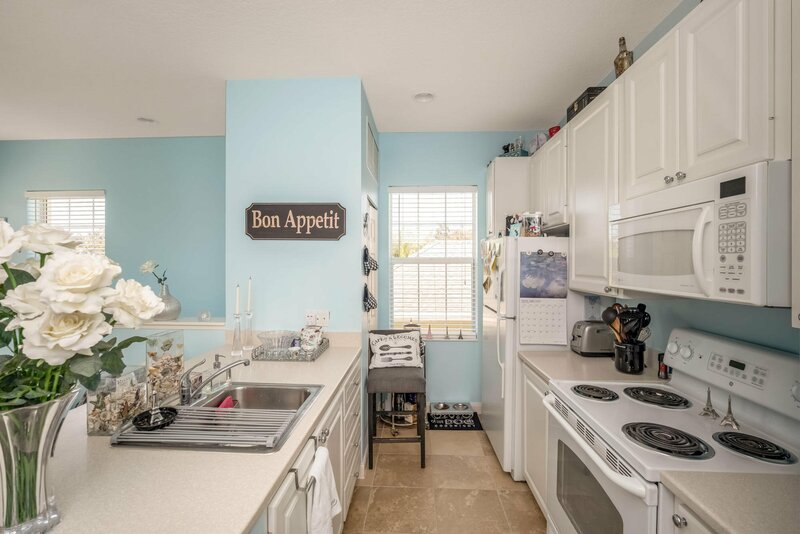 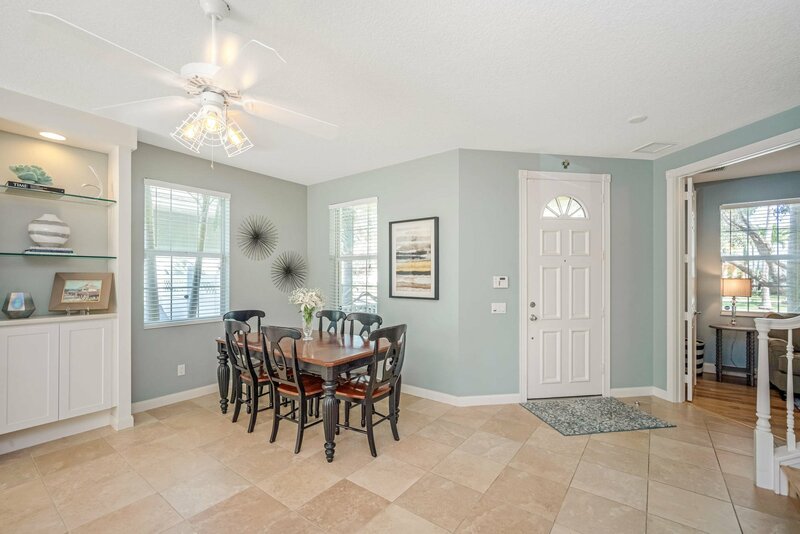 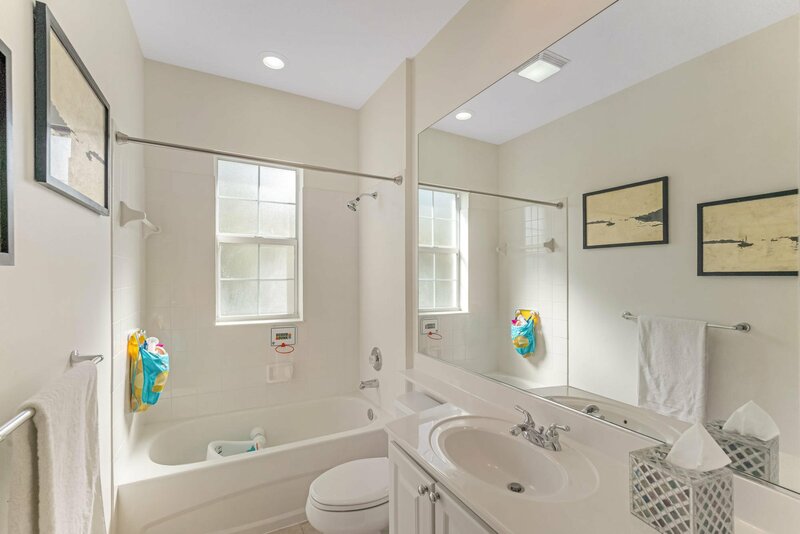 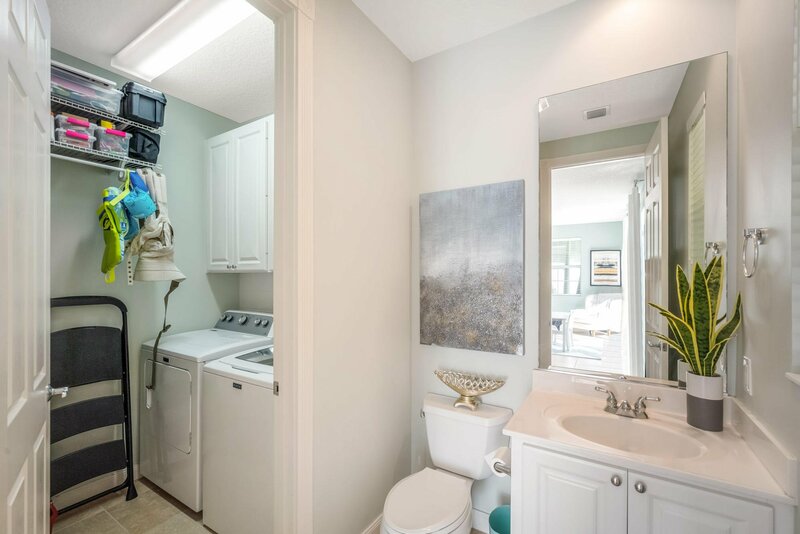 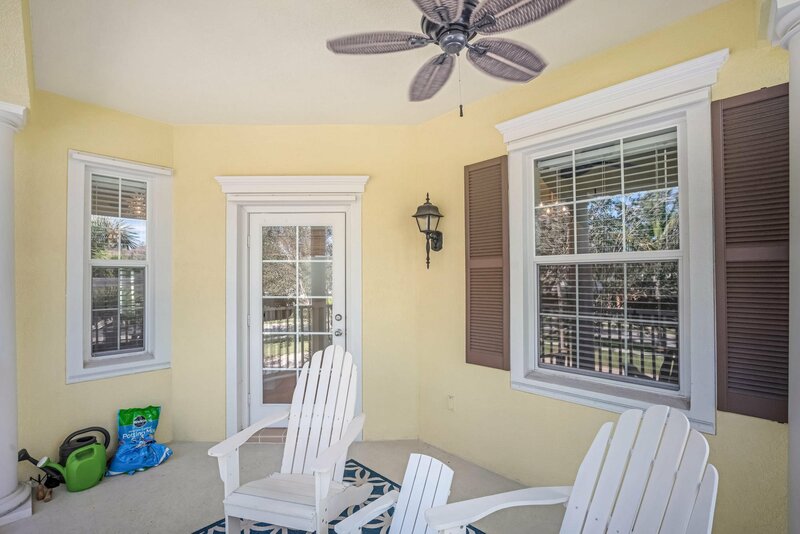 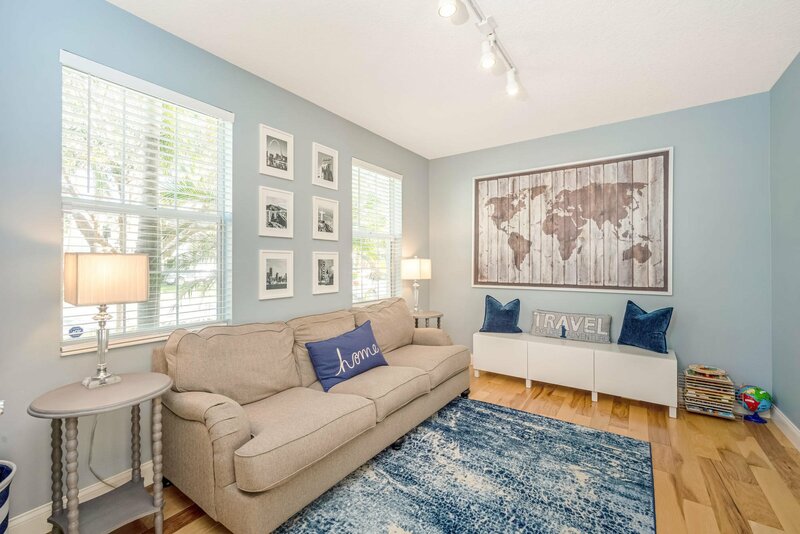 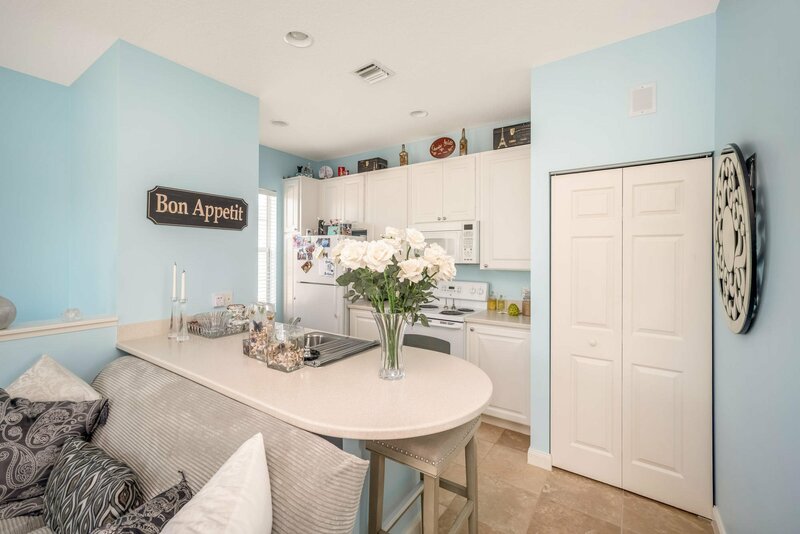 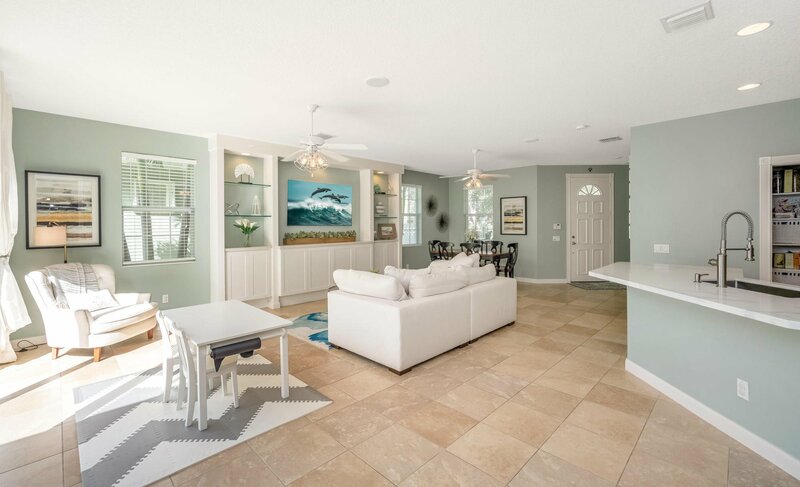 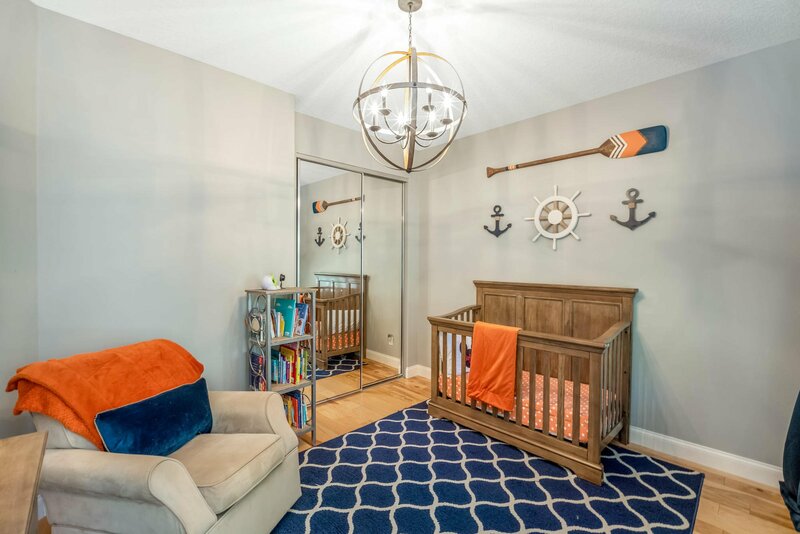 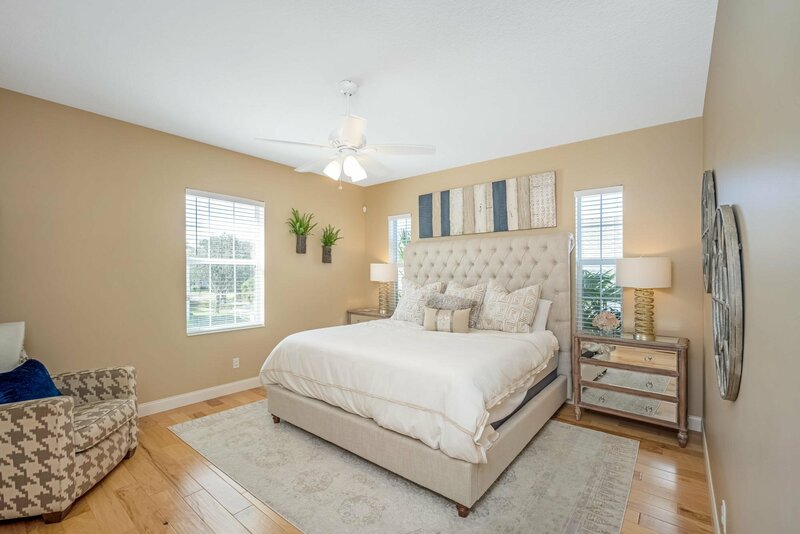 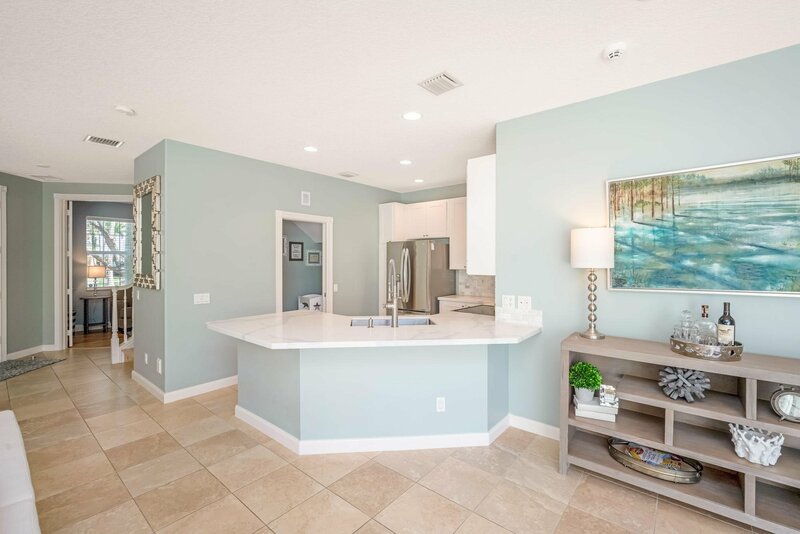 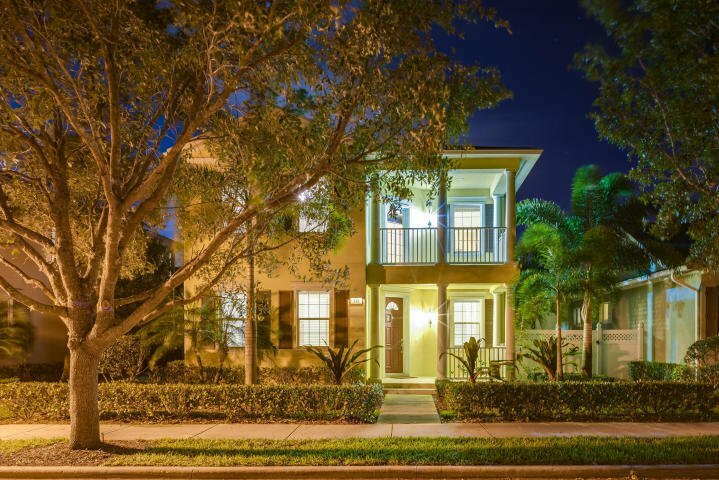 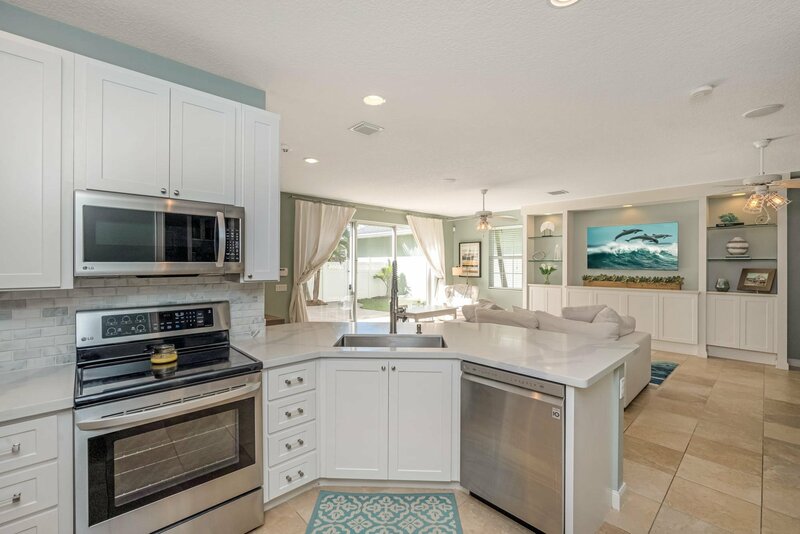 Beautifully updated, bright & sunny, Divosta-built 3BR/21/2BA + den home with a full-size private apartment above the 2-car garage with an income potential of $1,200 a month, located on a very quiet street in the family-oriented community of Martinique at Abacoa. 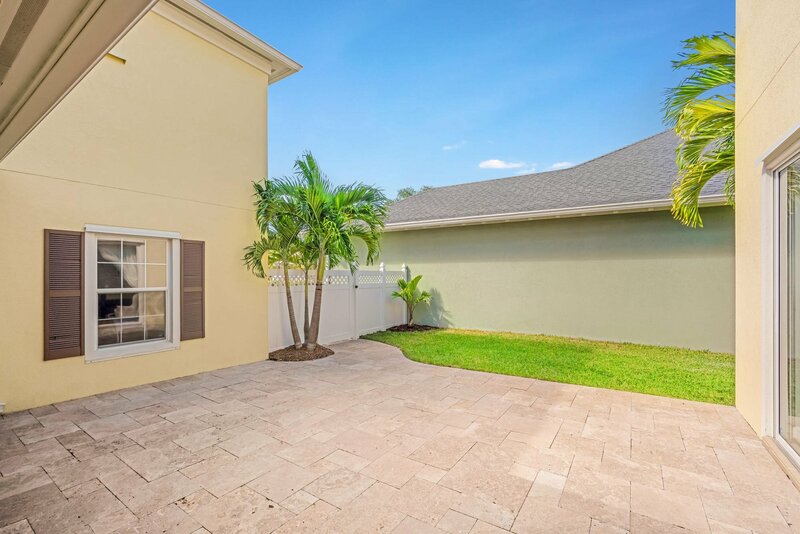 This wide-open home has a comfortable floor plan, volume ceilings, oversized square-paned windows, hardwood & tiled flooring throughout, built-in shelving & cabinets in the living room, a gourmet kitchen with new shaker cabinets, quartz countertops, and stainless steel appliances, surround sound speaker system installed inside & outside, all TVs mount-ready, and second-floor balcony with new ceiling fans. 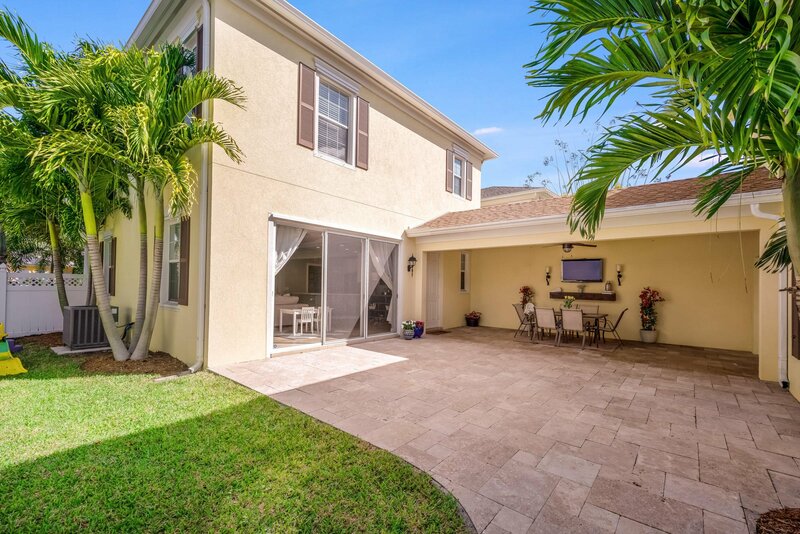 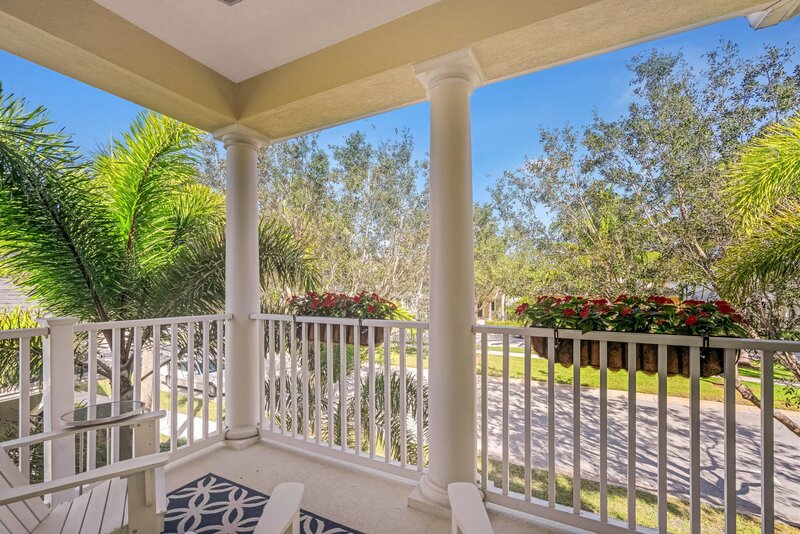 The enclosed yard and covered patio has Travertine marble flooring and is an outdoor oasis perfect for entertaining. 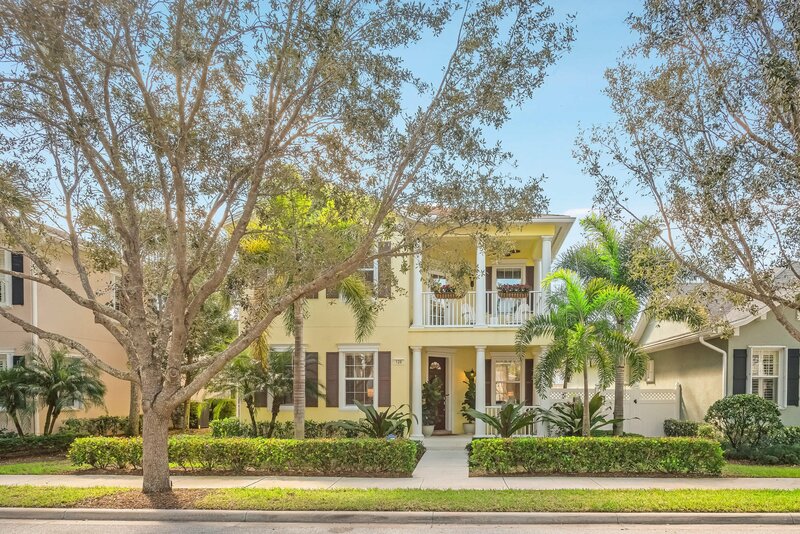 Listing courtesy of Echo Fine Properties / Illustrated Properties. 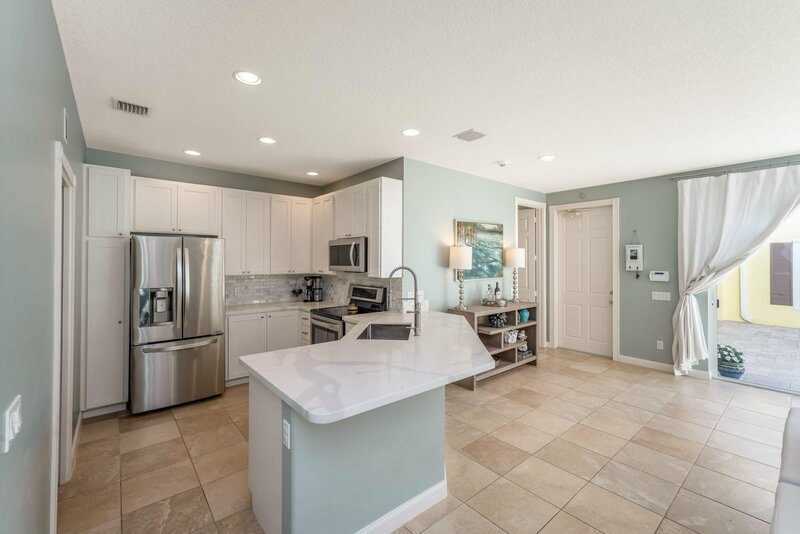 Selling Office: Lang Realty/Jupiter.